An Educated Man is Not a Pot: On the University, an online book launched at the Royal Geographical Society Hong Kong on 13 March 2017. China Heritage Annual, with the guest editors William Sima and Yayun Zhu, launched at the Shanghai International Literary Festival on 14 March 2017. China Story Yearbook 2014: Shared Destiny, edited with Linda Jaivin and Jeremy Goldkorn, Canberra: Australian Centre on China and the World and ANUPress, 2015, 351pp. China Story Yearbook 2013: Civilising China, edited with Jeremy Goldkorn, Canberra: Australian Centre on China in the World, 2013, 459pp. China Story Yearbook 2012: Red Rising, Red Eclipse, edited with Jeremy Goldkorn, Carolyn Cartier and Gloria Davies, Canberra: Australian Centre on China in the World, 2012, 311pp. The Great Wall of China, edited with Claire Roberts, Sydney: The Powerhouse Museum, with the China Heritage Project, ANU, 2006, 300pp. China Candid: the People on the People’s Republic, by Sang Ye, edited by Barmé with Miriam Lang, University of California Press, 2006, 338pp. An Artistic Exile, a life of Feng Zikai (1898-1975), Berkeley: University of California Press, 2002, 471pp. In the Red, on contemporary Chinese culture, New York: Columbia University Press, 1999, 500pp. 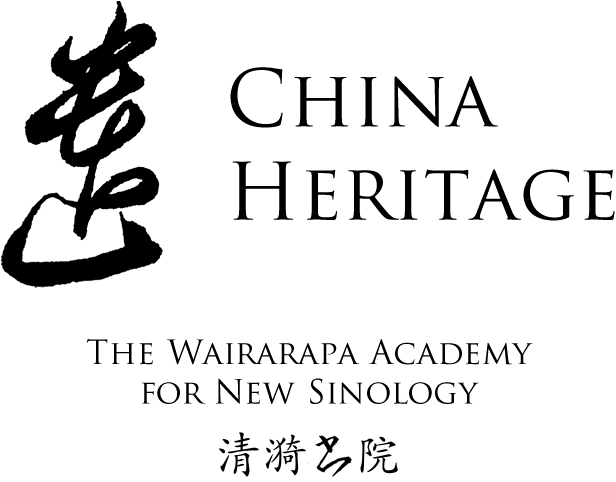 Gong Xiaogong, a case of mistaken identity, Wellington: Asian Studies Institute, Victoria University, 1999, 21pp. New Ghosts, Old Dreams: Chinese Rebel Voices, edited with Linda Jaivin, New York: Times Books, 1992, 500pp. Seeds of Fire: Chinese Voices of Conscience, edited with John Minford, Hong Kong: Far Eastern Economic Review (1986); 2nd edition New York: Hill & Wang (1988), reissued with a new introduction by Noonday Press (1989), 450pp. Zixingche wenji 自行車文集, by Bai Jieming 白杰明 (G. Barmé), Hong Kong: Cosmos Books, 1984 (a volume of essays and cultural comment in Chinese), 183pp. Xiyangjing xia 西洋鏡下, by Bai Jieming 白杰明 (G. Barmé), Hong Kong: Po Wen Books, 1981 (a collection of essays, film criticism and satire in Chinese), 206pp. Lazy Dragon, Stories from the Ming Dynasty, translated by Gladys Yang and Yang Xianyi, edited by G. Barmé, Hong Kong: Joint Publications, 1981. A China Traveler’s Phrase Book, compiled by G. Barmé and B. Lee, New York: Eurasia Press, 1980, 157pp. Lost in the Crowd, by Yang Jiang, Melbourne: McPhee Gribble, 1989 (revised and expanded work based on A Cadre School Life). The Three Beatings of Tao Sanchun, or ‘A Shrew Untamed’, a traditional Peking Opera by Wu Zuguang, Shanghai: Shanghai Foreign Language Education Press, 1988. Random Thoughts, by Ba Jin, Hong Kong: Joint Publications, 1984. Fragrant Weeds—Chinese short stories once labeled as ‘poisonous weeds’, translated by G. Barmé and Bennett Lee, edited and with an introduction by W.J.F. Jenner, Hong Kong: Joint Publications, 1983. A Cadre School Life: Six Chapters, by Yang Jiang, Hong Kong: Joint Publications, 1982. The Wounded: Stories from the Cultural Revolution, 1977-78, selected and translated by G. Barmé and Bennett Lee, Hong Kong: Joint Publications, 1979. China’s New Democracy, by Qi Xin, edited and translated by G. Barmé and Bennett Lee, Hong Kong: Cosmos Books, 1979. Woodblock Prints of Wartime China, Hong Kong: Cosmos Books, 1978. Deng Xiaoping: a political biography, by Chi Hsin, Hong Kong: Cosmos Books, 1978 (as a member of the Chi Hsin group I edited and translated this volume with Wanda Lee). The Case of the Gang of Four, by Chi Hsin, Hong Kong: Cosmos Books, 1977 (edited and translated most of this volume). ‘Red Allure and the Crimson Blindfold’, in Red Legacies in China: Cultural Afterlives of the Communist Revolution, edited by Jie Li & Enhua Zhang, Cambridge, MA: Harvard University Asia Center, 2016, pp.354-386. ‘Beijing Building, Lois Conner’s Construction’ in Beijing: Contemporary and Imperial, Photographs by Lois Conner, With an essay by Geremie R. Barmé, Princeton: Princeton Architectural Press, 2014. ‘For Truly Great Men, Look to This Age Alone — was Mao Zedong a New Emperor?’, in Timothy Cheek, ed., A Critical Introduction to Mao Zedong, Cambridge, Cambridge University Press, 2010, pp.243-72. 15,000 words. ‘Beijing Reoriented, an Olympic Undertaking’, in Mary Farquhar, ed., 21st Century China: Views from Australia, Newcastle upon Tyne: Cambridge Scholars Publishing, 2010, pp.1-33. 10,000 words. ‘Beijing, An Invisible City & An Intangible Heritage’, in Michael Ewans, ed., Inspiration of Place: the Artistic Life of Cities, symposium volume produced by The Australian Academy of Humanities (unpublished 6,000-word chapter). Q&A with Evan Osnos, The New Yorker, published online on 29 September 2009, on China’s National Day parade and its antecedents, at http://www.newyorker.com/online/blogs/evanosnos/2009/09/geremie-r-barme.html, reprinted as a chapter in Capturing the Year 2010, Canberra: College of Asia & the Pacific, The ANU, 2010, pp.125-30. ‘Lives in Boxes: The Ins and Outs of Lois Conner’s Crystal Palaces’, Life in a Box, Photographs by Lois Conner, With an essay by Geremie R. Barmé, Hong Kong: Hanart TZ Gallery, 2010, pp.3-9. ‘I’m So Ronree’ in Gregor Benton and Lin Chun, eds, Was Mao Really a Monster? The Academic Response to Chang and Halliday’s ‘Mao: The Unknown Story’, London: Routledge, 2009, pp.73-83. A 5,000-word review-essay resulting from research work (see below) and revised for publication as a chapter. Three chapters revised on the basis of published work (‘Torching the Relay’, ‘Painting Over Mao’ and ‘Facing up to Friendship’), in Jeffrey N. Wasserstrom, et al, eds, 2008: A Year of Great Significance, Boulder, Co.: Rowman & Littlefield, 2009, pp.69-78, 172, 212-15. ‘The Revolution of Resistance’ in Elizabeth Perry and Mark Selden, eds, Social Change in Contemporary China: Conflict and Resistance, London: Routledge, first published in 1999, revised for two later editions and fully revised and updated for the third edition published in 2009. ‘Two Steps Forward, One Step Back: Another New Long March’, in the catalogue of the Fifth Asia-Pacific Triennial, Queensland Art Gallery, 2006. Published also in the Review Supplement of The Australian Financial Review on 24 November 2006. Three chapters (‘Facing Up to Friendship’, ‘Thirsty Dragon at the Olympics’ by Dai Qing [translated by Barmé] and ‘Painting Over Mao’) in 2008: Capturing the Year, edited by Robin Jeffrey and Barbara Nelson, ANU: College of Asia & the Pacific, 2009, pp.1-4, 69-74 & 82-84. ‘Guan Wei’s Curiosity Cabinet’, in Claire Roberts, ed., Other Histories: Guan Wei’s Fable for a Contemporary World. Documentation of an Exhibition, Sydney: Wild Peony, 2008, pp.120-27. Nineteen entries (14,000 words) in The Encyclopaedia of Contemporary Chinese Culture, Edward Davis, ed., London & New York: Routledge, 2004. ‘Have We Been Noticed Yet? — Intellectual contestation and the Chinese web’ (with Gloria Davies), in Edward X. Gu and Merle Goldman, eds, Chinese Intellectuals Between State and Market, London: Routledge, 2003. ‘Engines of Revolution: Car Cultures in China’, in Peter Wollen and Joe Kerr, eds, Autopia: Cars and Culture, London: Reaktion Books, 2002, pp.177-90. ‘A Note on the Imperial Mountain Villa at Chengde’, East Asian History, no. 22 (December 2001), pp.11-16. ‘Time’s Arrows: Imaginative Pasts and Nostalgic Futures’, in Gloria Davies, ed., Voicing Concerns, contemporary Chinese critical inquiry, Boulder: Rowman & Littlefield, 2001, pp. 226-257. ‘A Note on Translation’ (Gloria Davies and Barmé), in Voicing Concerns: contemporary Chinese critical inquiry, Gloria Davies, ed., Boulder: Rowman & Littlefield, 2001, pp. xi-xii. ‘Translation: In Search of a “Third Way”: A Conversation Regarding “Liberalism” and the “New Left Wing” by Xu Jilin, Liu Qing, Luo Gang, and Xue Yi’, in Voicing concerns: contemporary Chinese critical inquiry, Gloria Davies, ed., Boulder: Rowman & Littlefield, 2001, pp.199-226. ‘The Revolution of Resistance’ in Social Change in Contemporary China: Conflict and Resistance, edited by Elizabeth Perry and Mark Selden, London: Routledge, 1999, pp.198-220. ‘China: A State of Anxiety’, in Anthony Milner and Mary Quilty, ed., Australia In Asia, Communities of Thought, Oxford University Press, 1996, pp.29-49. ‘To Screw Foreigners is Patriotic: China’s Avant-Garde Nationalists’, 25pp., in Chinese Nationalism, edited by Jonathan Unger, Armonk, NY: M.E. Sharpe, 1996; originally published in The China Journal, July 1995, pp.209-234. ‘History for the Masses’, a chapter in Jonathan Unger, ed., Using the Past to Serve the Present: Historiography and Politics in Contemporary China, New York: M.E. Sharpe, 1993, pp.260-86. ‘Export, Exploit, Expropriate: Artful Marketing from China, 1989-1993’, in Johnson Chang, ed., New Art from China, 1989-93, Hong Kong: Hanart, 1993, pp.47-51. Reprinted in edited form in Mao Goes POP: China Post-1989, Nicholas Jose, ed., Sydney: Museum of Contemporary Art, 1993, pp.28-30; and in full in Third Text (London), no.25 (Winter 1993), pp.67-76. Also published in Chinese in a volume produced for the exhibition and again in the Taiwan monthly academic journal Dangdai (Contemporary). ‘The Greying of Chinese Culture’, China Review, Kuan Hsin-chi & Maurice Brosseau, eds, Hong Kong: Chinese University Press, 1992, Chapter 13, pp.1-52. ‘Beijing Days, Beijing Nights’, in Jonathan Unger, ed., The Pro-Democracy Protests in China: Reports from the Provinces, New York: M.E. Sharpe, Armonk, 1991, pp.35-58. ‘Confession, Redemption and Death: Liu Xiaobo and the 1989 Protest Movement’, in George Hicks, ed., The Broken Mirror: China After Tiananmen, London: Longmans, 1990, pp.52-99, online at: http://www.chinaheritagequarterly.org/017/features/ConfessionRedemptionDeath.pdf, and in Chinese, 忏悔、救赎与死亡：刘晓波与八九民运, 石默奇译. ‘The Chinese Velvet Prison: culture in the “New Age”, 1976-89’, Issues & Studies, vol.25, no.8 (Aug. 1989): 54-79. ‘An Afternoon in Beijing — September 1978’, China in the Seventies: Australian Perspectives, edited by Pamela Hewitt and Stephen Fitzgerald, ANU: Contemporary China Paper No.15, 1980, pp.137-46.